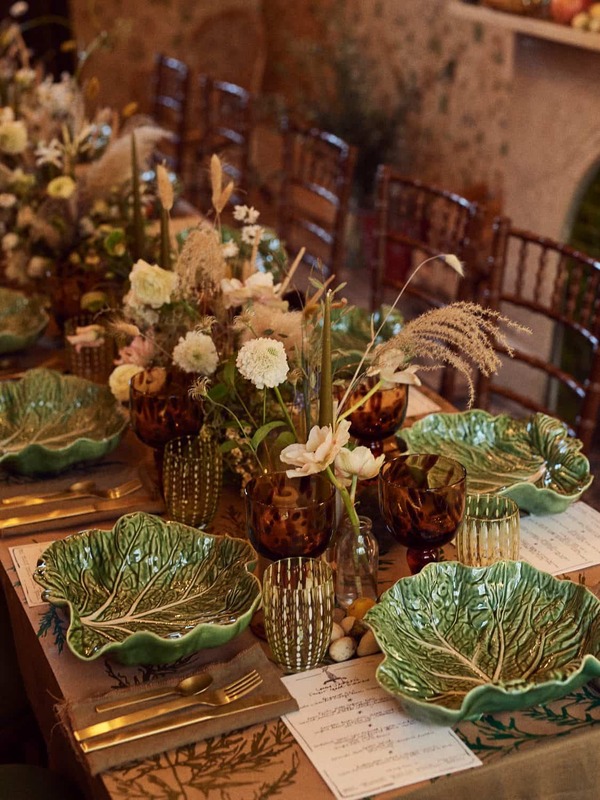 The drive to be more environmental has hit the flower industry thanks to some canny florists making foraged finds – even weeds – look chic. 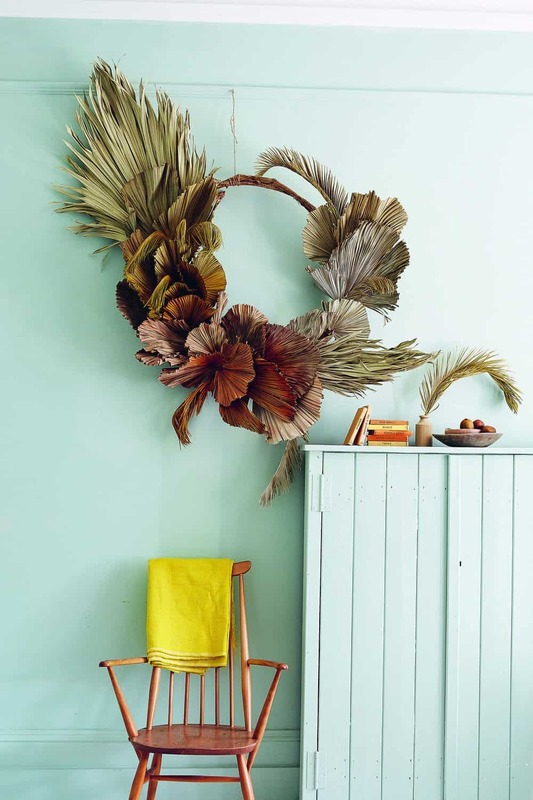 Today’s flower displays of lust include beautiful wreaths and hanging planks, but they utilise the sort of wild grasses that are making our rooms look more fun, and less formal than they used to. Stoke Newington duo Katie Smyth and Terri Chandler of Worm London have played their part in this rising trend. 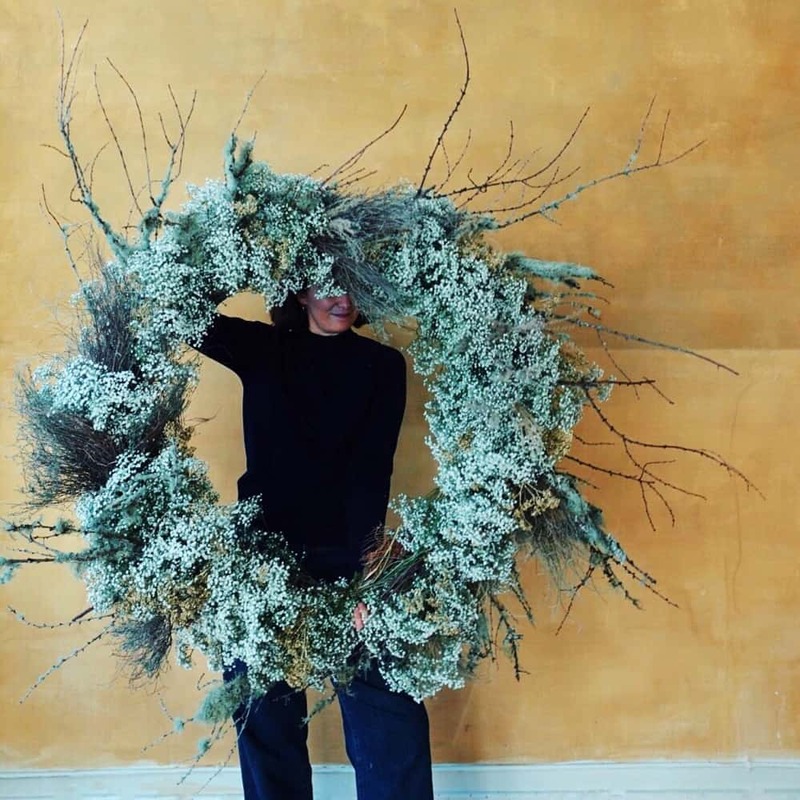 Their naturalistic work has been displayed in various fine venues, including the Hampstead branch of Toast, and they’ve penned their first book WREATHS: Fresh, Foraged & Dried Florals Arrangements to encourage us all to follow their thinking. With the festive period upon us, it’s the perfect moment to explore their ideas and hear more about how to decorate our own tables and mantelpieces in the coming weeks. Below, Terri talks us through their ethos, inspirations and valuable tips. Your floral style is beautifully naturalistic looking and also seems environmentally aware – can you tell us why this is important to you? 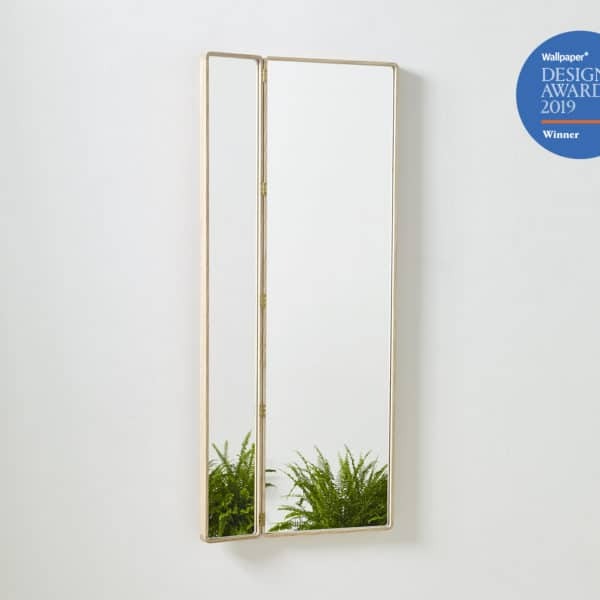 “Our main inspiration comes from the landscape that we grew up in on the coast of the south of Ireland, grassy, wild textures with small surprises. I think the pressure is on at the moment to be as sustainable as possible in most industries but we find ours to be particularly damaging. The water waste, the use of floral foam that takes more than 100 years to break down, flying flowers across the world, the waste of flowers in event floristry, the use of plastic to contain water etc. 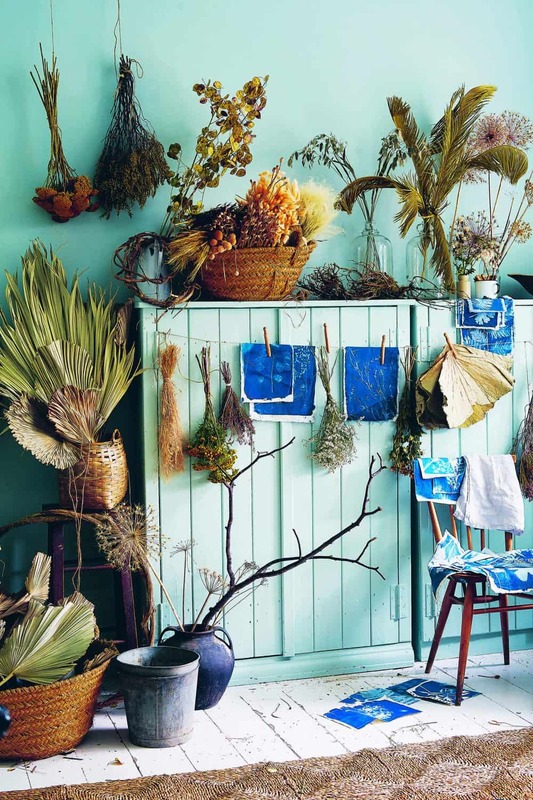 Ideas for arranging dried flowers, from the book WREATHS. Photography by Kristin Perers. 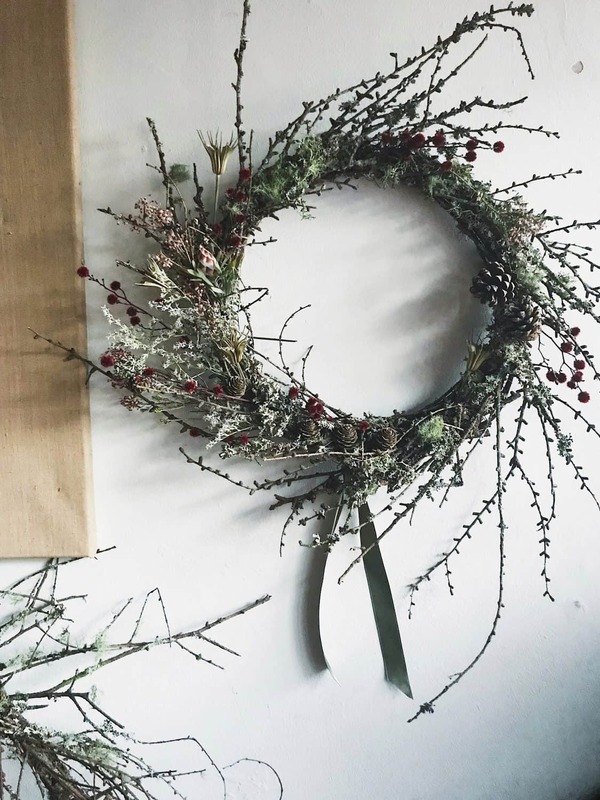 Inspiring us to make a wreath using foraged finds. What do you have in store for your own Christmases this year in terms of decorating with flowers around the home, on doors and mantels etc? Your weddings and supper clubs have looked fantastic – what do you recommend when it comes to setting the Christmas dinner table? It feels as though the hanging plank has become a big thing in floral decorating – what type of flowers would you suggest in this format to make sure it feels especially Christmassy? 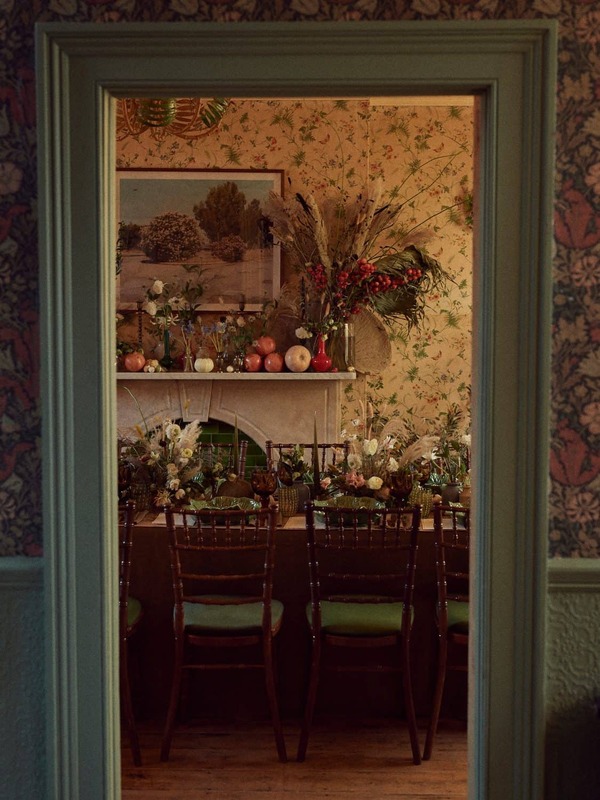 Laura Jackson’s supper club in a room full of dried blooms. The table set for the supper club. Where are you both spending Christmas and do you have any traditions surrounding it? “Katie will be in Dublin with her family and I will be travelling around Sri Lanka with my boyfriend. As we are both Irish we have a big pub culture around Christmas (even though they all close on Christmas day) and it’s lovely to see everyone that lives abroad that you haven’t seen in ages coming home and having a drink and a dance. We also love that it’s the one week a year that pretty much no one tries to get in touch so we feel truly out of office. What’s coming up for you in terms of events and jobs that you can talk about? 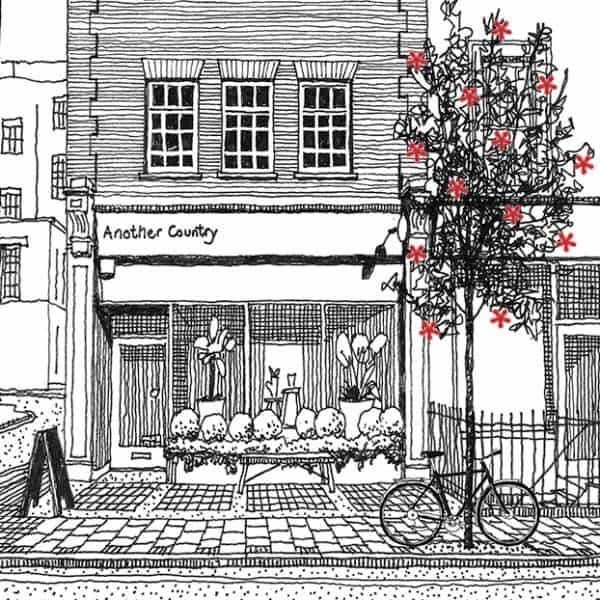 “We just installed Simone Rocha’s festive window on Mount street. That was a big one for us because we have admired her for so long and really adore her aesthetic. We chose one of the prints from her current collection to take inspiration from. 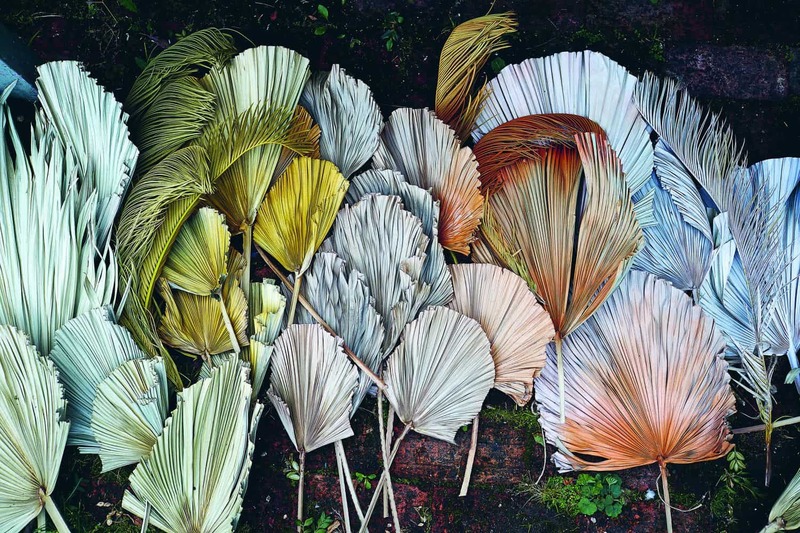 Dried tropical plants in a colour gradient, from WREATHS: Fresh, Foraged & Dried Florals Arrangements. Photography by Kristin Perers. Do you have any gardens or even landscape designers whose work you find inspiring for your own creative process? We follow lots of landscapers and photographers on Instagram. It’s interesting because you get to learn the names of flowers that you would not necessarily see at the flower market or with growers. People who work at Kew or Great Dixter. We are always so drawn in by wild looking gardens with secret passages. Charlie McCormick has the most incredible Dahlia beds in September each year that are very inspiring. Where do you like to go in London for nature and an escape from daily urban life? Are you involved in growing your own flowers and if so what sort of thing are you growing just now? What would be the ideal brief / job that you’ve not done yet?